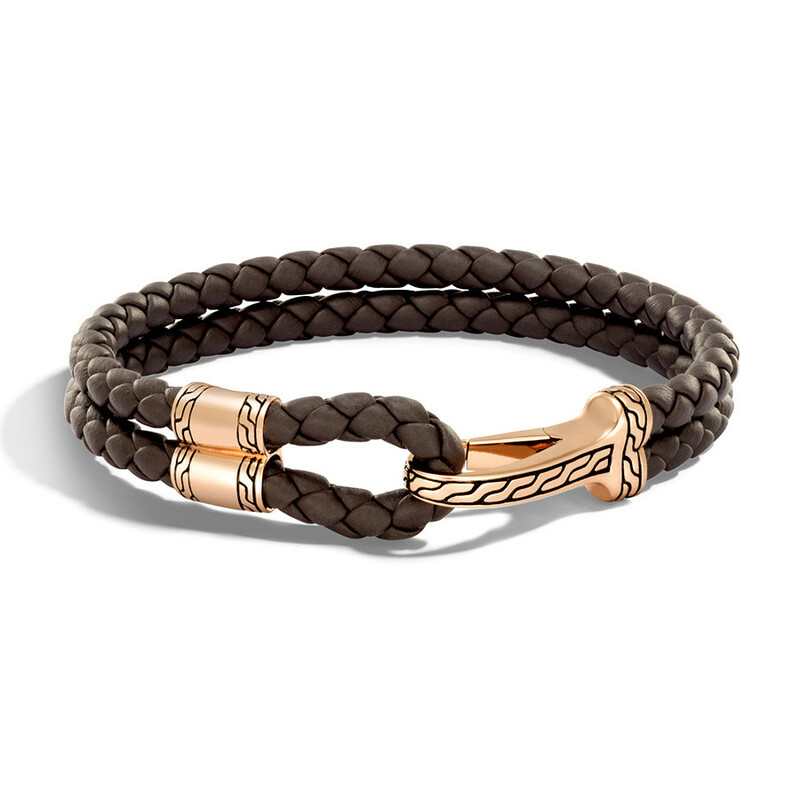 This modern and versatile bracelet from John Hardy features supple brown leather and shiny bronze accents, boldly carved with the interwoven design from the Classic Chain collection. 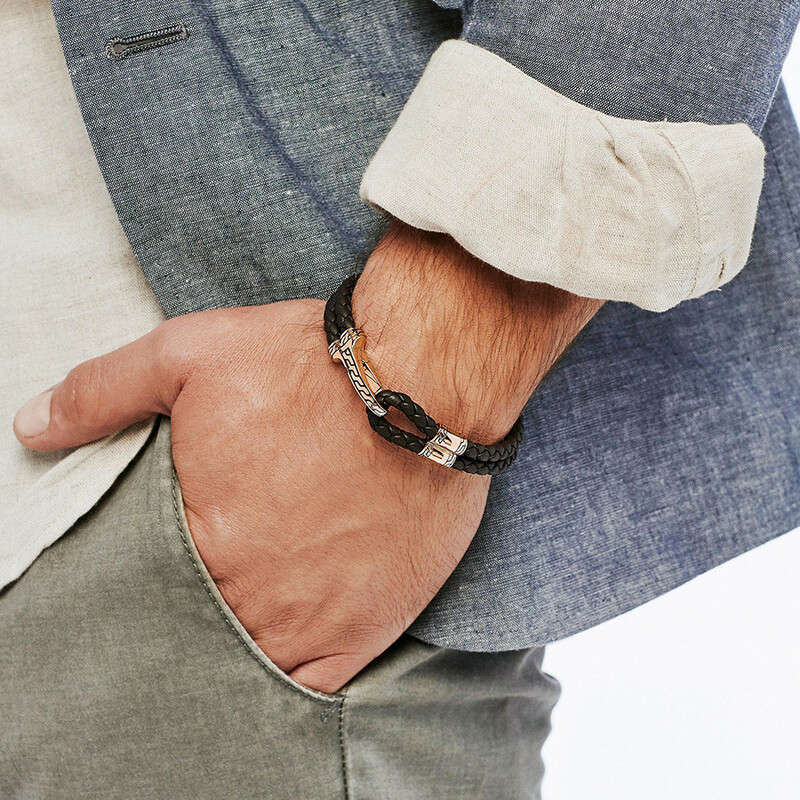 Wear it any time you want to make a casual outfit a little dressier. Wrist Size 7.25" - 7.75"